I want to decorate my photography binder with yummy pictures of the Beatles. I was wondering if you all could post fab pics of the boys with their cameras? I have a couple (including that GORGEOUS big one with Paul...), but I think the binder needs more visual appeal. Thanks everyone! Anyway...that's all I could find at the moment...I know there's more out there and I will continue to look for them for you, and I will post them as I find them! Hope this helps!Peace and love! --B.C. Challenge AnyRoad69 in the Arcade! 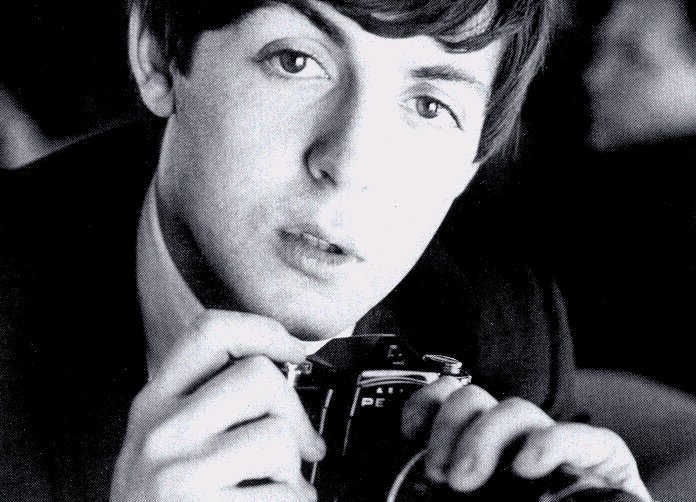 Paul just can't stop taking photos! Challenge Miss O'Dell in the Arcade! Location: Locked up in my room with John... doing naughty things. Challenge Johnny-Girl in the Arcade! 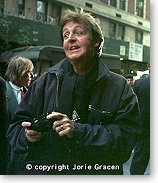 Judging from the pics already posted, how many cameras does Paul own? Are you sure he's not tied in with Eastman Kodak? Sorry about the URL but I couldn't post the picture from the website. Challenge Little Darling in the Arcade! Oh my gosh!!! I just LOVE that one (the one you linked to above)! That was in my Beatles calendar back in 1994...he was Mr February ...and you know what??? After '94 ended, he (Mr Feb) remained hanging up on my wall and he is STILL there (oh my gosh--it's been 10 years now...wow)!!! I hadn't been able to find this photo anywhere on-line, so it's great that you posted it (well, a link to it) here! Guess who's going to be on my desktop now??? Ah...just lovely!!! Thanks for posting that one! It just made my day! thanks for all your pictures so far, everyone (really yummy ones of Paul in particular) ! If you have anymore, please feel free to post them! Challenge Freda_Peeple in the Arcade! Oh my gosh!!! I just LOVE that one (the one you linked to above)! That was in my Beatles calendar back in 1994...he was Mr February ...and you know what??? After '94 ended, he (Mr Feb) remained hanging up on my wall and he is STILL there (oh my gosh--it's been 10 years now...wow)!!! I had that calendar too! Matter of fact, I still have it saved in my box of Beatle stuff in the closet. Hallmark used to do those GORGEOUS, gorgeous Beatles calendars until about 1995 or so.... The Hard Day's Night one (I think it was 1992 or 1993) was the best one ever. Gorgeous pics. These pics are great!! Thanks to everyone who posted them. Challenge robofab4 in the Arcade! Sorry about the URL but I couldn't post the picture from themaybe website. Challenge For no one in the Arcade! Have you got this one yet? It's adorable!!!!! Challenge Maccalvr in the Arcade! I used this picture as a header on my site for sometime; it's technically not a camera, but hey.